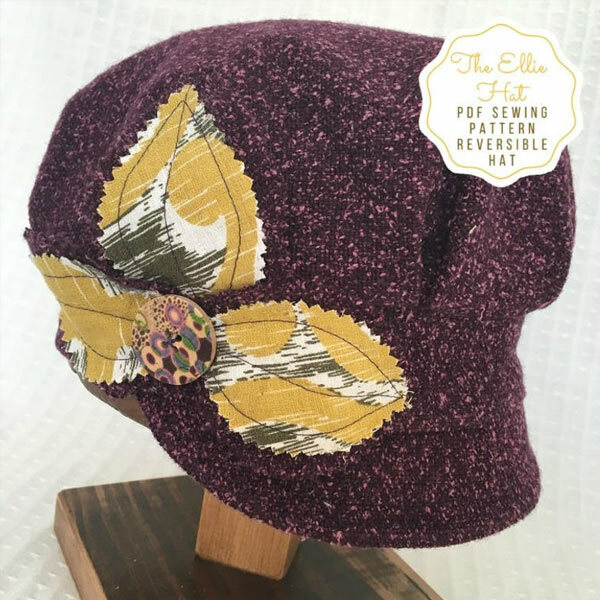 Hat Sewing Pattern: The Ellie Hat – Noggins – Whimsically practical! 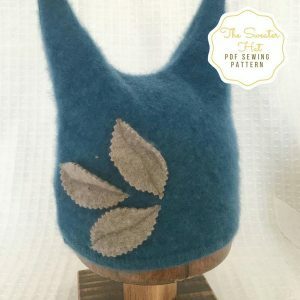 This is the Ellie Hat PDF Sewing Pattern! It’s easy and relatively fast to make, and doesn’t take much fabric. It’s the perfect accessory to pick you up if you are having a bad hair day, or just for some plain fun! 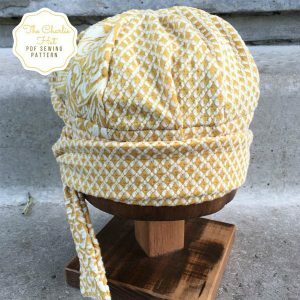 The way this hat is constructed, it can be made fully reversible, so go ahead and pick two great fabrics (one for the outer – and one for the lining), and you when you’re done, you have two hats in one! Try making one with a brim, or without – Happy Sewing! This is a complete sewing pattern (PDF) and tutorial for a reversible hat. The instant download includes 2 options, a 29 page detailed step by step pdf file with complete instructions including photos and detailed steps, and a printable 7 page version. This listing is for the sewing PDF pattern only – not a hat. Pattern does not include the items shown in the photos, supplies or fabric. All Sales are Final. This hat pattern has two sizes. Adult and Child. The adult size hat is sized to fit a head circumference between 20-26” (50 – 66cm). The child size is sized to fit a head circumference between 16-20” (40-50cm). Since this hat sizing is somewhat dependent on the amount of stretch in the sweater used, the adult size hat pattern will fit all sizes as long as the fabric has stretch. If the sweater you are using doesn’t stretch too much then you will have to measure your head circumference, divide in half, and measure the pattern piece to make sure it will go around your head. You might want to do a test mock-up first with some similar material if the sweater/item is very valuable to you. You can slice the pattern down the middle and widen it if you need to enlarge it. The children’s size will fit from about 2 yrs to 6 yrs. After that age, many children have adult-sized heads. This is the Charlie Hat Sewing Pattern! It is very versatile and super easy to make! It only has two main pieces, the crown pieces and the band. The band is left loose and can be tied to adjust to any size of head. Great for those with lots of hair – or no hair – completely adjustable! 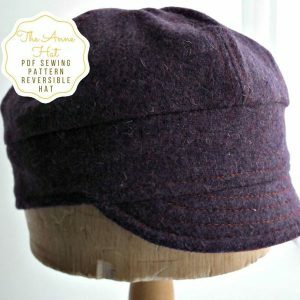 This is the Anne Hat PDF Sewing Pattern! It’s easy and relatively fast to make, and doesn’t take much fabric. It’s the perfect accessory to pick you up if you are having a bad hair day, or just for some plain fun! The way this hat is constructed, it can be made fully reversible, so go ahead and pick two great fabrics (one for the outer – and one for the lining), and you when you’re done, you have two hats in one!